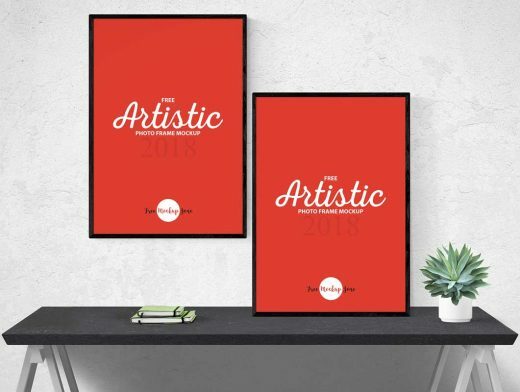 Get one of the finest Free Artistic 2 Photo Frames Mockup to showcase your photos or poster designs in a artistic way. PSD file includes smart-object layers, help you to get the flawless presentation. Simply double click on it, save your design, close it and get final result.